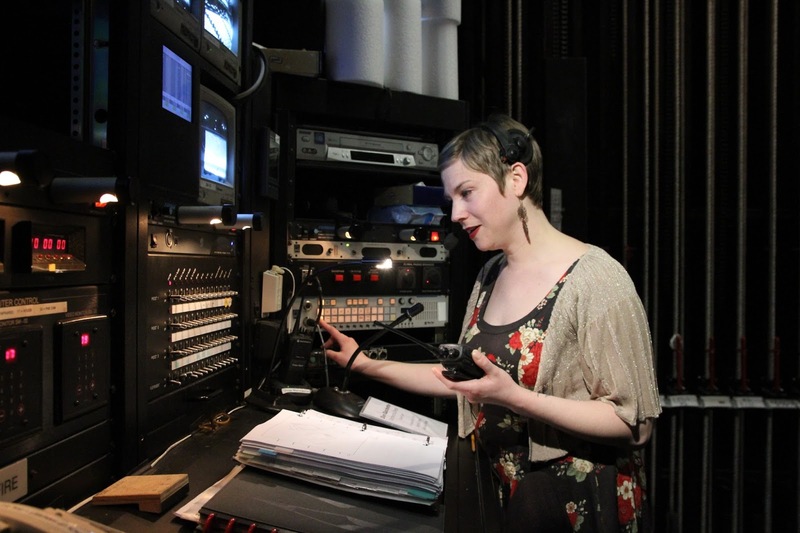 With a gift for diplomacy and nerves of steel, Seattle Opera’s Production Stage Manager Yasmine Kiss oversees every detail of our performances— orchestrating lighting, scene changes, and singers’ rehearsals and stage entrances. Her job, which ranges from navigating personnel issues to averting disaster, is not for the faint of heart. Stage management is such a weird job because it encom­passes so many things. First of all, I’m the manager of the production. I am the final word onstage if something goes wrong, and I generally make the bulk of the decisions. When people are indisposed or they’re late or anything like that, I take care of it. The second part of the job is navigating the personalities and doing whatever we can to make the art happen as smoothly as possible. Our duties include everything from the mundane task of emptying out the garbage can, to scheduling, and keeping all the union rules in check. I make sure that the director doesn’t make a choice that’s going to impact a union contract. We also communicate the director’s ideas to the various departments. And finally, I call the show. What goes into calling a show? Before the dress rehearsals the artistic team (the lighting designer, set designer, and director) plans out exactly what the production is going to look like: they build all the light cues and projection cues, and they coordinate scenic shifts. They’ll say, “I want light cue 7 to happen here, I want the curtain to come in here, I want the curtain to move at this speed.” Then I take all of that information and write it into my score with little stickers. It’s sort of like a secret code, but it has to be clean and concise and easily legible so that if I fell down backstage, another stage manager could step in and do it. And when the music starts? I literally read the book. I follow along with the music, and when a little pink sticker comes up that says “stand by light cue 7,” I say, “stand by light cue 7.” With my microphone I can speak to the house, onstage, or backstage; with my headset, I speak to the light board operator, the assistant stage managers, and master carpenter; and with my radio, I speak to the bulk of the crew. I watch a smaller monitor that has an infrared stage picture so that I can watch the curtain in blackouts, and then I watch the maestro, because so many of my cues occur on the downbeat, and 0.5 seconts really makes a difference. You’re the air traffic controller. Do you communicate with the singers on a performance night? Are some shows more difficult to call than others? And where does The Magic Flute fall on the spectrum? The Magic Flute is going to be an incredibly difficult call because it has 20 scenes, and there are scene shifts between each one. The last five minutes of Götterdämmerung are always the most difficult, because they are incred­ibly dangerous. There is a giant open pit onstage, then a giant elevator comes up with 13 people on it, and a heartbeat after that elevator is under the stage, a giant set piece rolls over it. If anything in that timing goes wrong, you can really hurt someone. I worry about killing people every day. When very stressful situations happen—I am very lucky I’m born with this—I go to a quiet place. There are many people who go to a screaming place. We all know screaming stage managers. I go quiet; let’s all focus in; let’s figure this out. My product is not onstage for everyone to critique, so it’s easy for me to put aside my own personal ego and do what is best for the production. I’d love to call you the next time I have a flood in my basement. But with the flood in my basement I’d totally panic. My boyfriend and I were redoing tiles in our basement bathroom and they weren’t laid down properly, and I thought I was going to have a nervous breakdown. Does the highly organized aspect of your job carry over into your life? Yes, it does. I always know where my scissors are. This Staff Chat first appeared in Seattle Opera’s program for The Magic Flute in May 2011.